As Showtime gears up for its long-awaited premiere of the Lena Waithe executive-produced series The Chi, the network is offering a sneak peak at some of the characters you’ll grow to love on the series. 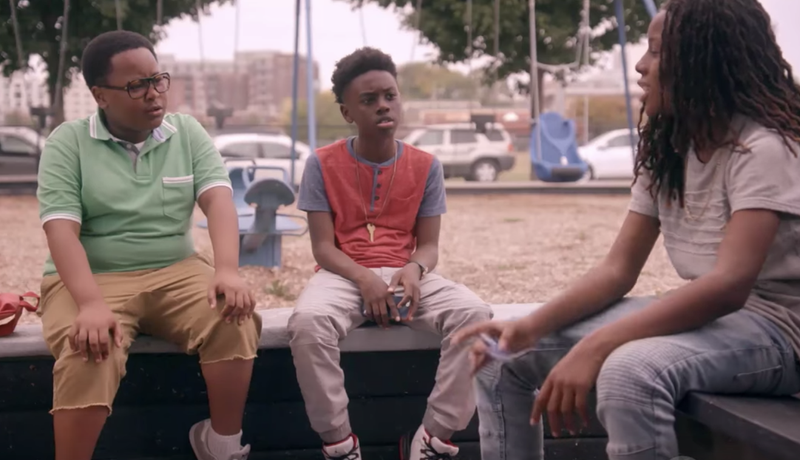 The Chi is a coming-of-age story centering on a group of Chicago South Side residents who become linked by coincidence. In two webisodes, you’re introduced to Kevin (Alex R. Hibbert), a preteen who must step past shattered illusions and embrace the normal rites of childhood; Papa (Shamon Brown Jr.), a member of Kevin’s posse, who is precocious and funny, with girls and food on the brain; and Jake (Michael Epps), who is Kevin’s good friend. He, Kevin and Papa are pretty much inseparable. But Jake’s older brother is a leader in a local gang, and Jake is at risk of falling under his influence. Take a look at the kids in action below. The Chi will premiere Sunday, Jan. 7, at 9 p.m. on Showtime.